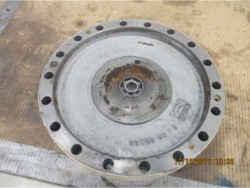 Fabrication of Emergency Pinion and on site assembly of Emergency Pinion for a cutter suction dredger. 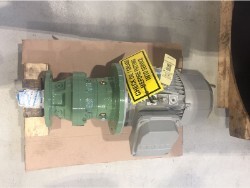 Engineering and assembly of gearbox in Australia for dredging vessel. Assisiting with replacement of bearings in thrust bearing block. Also the axis needed to be exchanged. - Full disassembly and cleaning of all parts. and recorded at locations with limited accessibility. 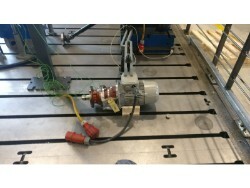 - During the inspection, an oil sample has been taken from the gearbox. - There were no damages found on the gears. - Disassembling the complete gearbox from the platform. - Transporting to our workshop. - Removing of the protection covers. - Disassembling of the oil lines. - Disassembling of the old oil pump. 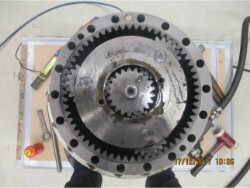 Disassembling of the gearbox took 1 day without facing major issues. The pinion as well as the bull gear were transported to the workshop of the shipyard. Hoisting points needed to be welded on the ceiling of the pump motor room. endoscope and camera. We also inspected the oil and oil filters onsite. Overhaul on two pieces gearbox CONRAD STORK 3R 560/3 onsite.